Our diver training school at Pirate Divers is run full time by highly qualified PADI instructors offering all levels of the diver training system from complete beginner to full professional qualification levels. For the complete novice, never needed to have even seen the sea before this program gives you the skills to just give it a go and make some shallow reef/wreck dives under the direct supervision or our instructors. First you will run through a video or flipchart depending on location, a short multi choice quiz and then straight into confined water, to run through 4 skill sets to make sure you are safe and comfortable enough to go on to making the open water experience dives to complete your discover scuba (DSD) experience. For the rest of your vacation you can then make as many 40ft max depth open water dives as you like, again under our direct supervision to get the full benefit or diving on your vacation with little time needed to qualify. Should you find, as most people do, you have a real love for diving and want to get certified this also counts towards your full diving qualification, so your already on your way to your full dive licence which we will be happy to complete for you to either PADI Scuba Diver or Full PADI Open Water Diver certifications. We can complete your diving certification to any schedule, this will allow you to dive with any qualified diver and allows you to experience the fantastic underwater world without the need to have an instructor in the water with you, however a dive guide can always be a great way to see all the cool stuff and also depending on your comfort level and how you feel, we still provide a guide on every dive so you have all the options.You have 3 main options for this course. Option one - simply complete the entire thing with us doing all 3 required sections on island- theory, pool then qualification dives. This is a minor time commitment but easily achievable during your vacation to your own schedule. More popular because you can start before you get to us is option two - the Online Theory option, click HERE or the banner and it will take you to our PADI eLearning page. Just register and pay then this allows you to do your theory online. 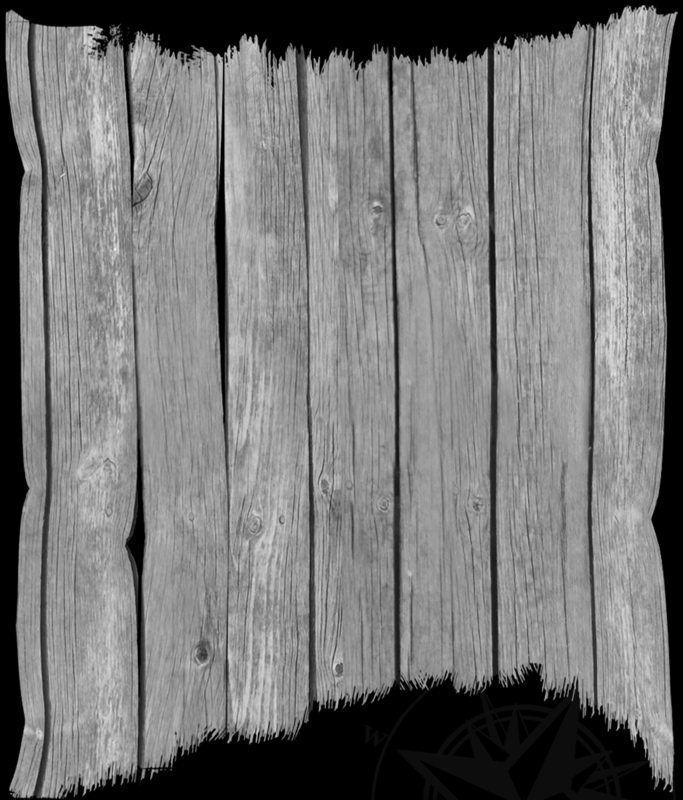 This removes the most time consuming section from our course allowing you more free time during your vacation. Once completed you just print off the document at the end of the sections to confirm all is completed, bring this with you and this has covered all the theory needed to enrol on the certification course. This option allows you to complete all the theory sections online or with your local dive store, then also completing your pool/confined water skills at home in your own time. This is very convenient for everyone, as now you only need to do the best bit on island. You will bring with you a PADI referral form from your local store once all sections have been mastered, then we only need to do a quick review of knowledge and skills, and you are good to go on your 4 certification dives, no need to give up any vacation time or have to do theory and skills here. This does need to be all sorted out before hand but with our extensive network of partners around the world, if you contact us first we will get you started with online theory and find the nearest PADI dive store to you and arrange for them to contact you to plan your confined water sessions back home. 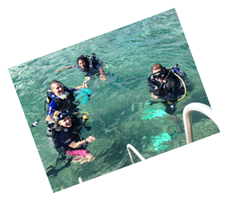 To be completely comfortable and much more self reliant as a diver once you have completed your initial Open Water course, you will want to be completing your Advanced course. Just for now ignore the name, you don't have to be advanced to do it,; you do this to gain your much needed advanced skills to complete your dive knowledge and experience before really enjoying your diving excursion. The 2 core dives are Deep Diver, to increase you dive qualified depth limit to 100 feet, and secondly the very important Navigation Dive, this adds vastly to the skills you have from beginner courses, and will mean you are much more able to navigate your own dive plans, great for getting away on shore dives and if you want to venture away from the dive guide any time to find your own cool stuff. 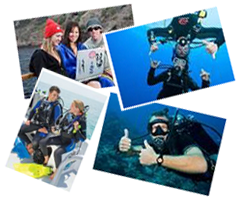 To complete the Adventure Diver course you then need to choose 3 other dives that really interest you. Most of our students choose Boat, Wreck and Peak Performance Buoyancy as a great all round package, however we have over 20 other choices so maybe think on and try taking digital underwater photos, Enriched Air experience or a first experience of diving at night (our personal Cayman favourite). Once you have had a taste of each Adventure dive area, all our Instructors are also qualified to teach you the full dive speciality in each area, so you can go on to complete your Nitrox course, visit another 3 wrecks to complete your Wreck Diver certification, or 2 more Night dives gets you the full Night Diver qualification, and the massively popular Reef fish identification course, as everyone always wants to know what they have seen or photographed during the dives. Whatever you want, just ask, we offer over 25 full PADI diver specialities so can cater to anything that takes your interest, or any area of diving you want to become an expert in. 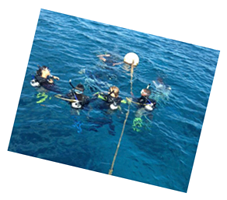 We offer package prices for multiple advanced/adventure course bookings should you want to explore a few options in our beautiful underwater landscape. Easily the most enjoyable, but also the most challenging course available. This course will round you off perfectly as a recreational diver covering self rescue, diver rescue, search patterns, lifting a victim to the surface and dive accident management. Only two days, but a tough, rewarding two days for all who take this step. You need to be first aid trained which we can also do on site follow our link to FIRST AID TRAINING we also do a full package which includes Rescue Diver, Oxygen First Aid speciality and Full First Aid qualification, keep in mind the Oxygen and First Aid courses will add another day . So everything you need to complete your practical Rescue diver training, prior to this we can get you booked on to your theory via online learning then all you need to do is come to us to complete all the practical work. Welcome to the first PADI professional certification level, we can run this course on request at any time over an 8 day period, we also offer longer term internships in which you can also learn about the dive industry, planning and leading full dive charters, assisting on all levels of PADI training and getting experience in the industry which will be very valuable when looking for your first job as a dive professional. 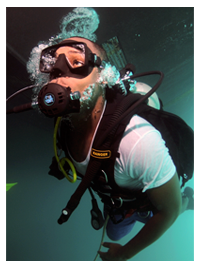 Both options consist of Instructor level dive theory, skills evaluation, stamina tests, exams, then finally practical use of your new leadership dive skills through either role play or better still; hands on experience assisting with courses and dive trips to give a practical indepth background to your knowledge. All Divemaster courses will be run by our PADI Course Director who has vast experience of training divemasters and placing them in full time work all over the world, we offer a full job placement scheme to all candidates that leave our professional level courses. Additionally you will leave with the additional certification of DSD leader if you take the internship option. In support of your career development we do a full pro package that also includes 5 speciality levels and ERF first aid instructor so you can show employers expertise in additional areas, extra marketability with being able to teach First Aid independently, and you will be ready to move straight on to your Assistant Instructor Course or Full IDC which our Course Director can also arrange for you and complete on island straight after your Divemaster course, completion making you completely ready to start a career in the dive industry. Begin the Online Theory option by clicking the banner below and it will take you to our PADI eLearning page. For full details and current timetable on this PADI professional certification level, please contact us directly and talk to our Course Director.